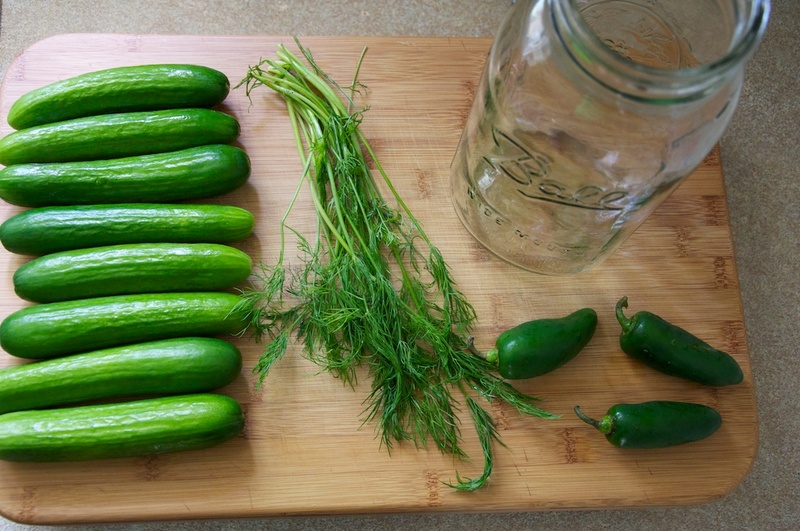 There are two ways to making pickles, shelf stable or refrigerator. We will share a recipe for each. If you manage to be patient enough, then try this one. You may find a recipe for the latter here. Before you make your pickles or any other preserves, jams and the like, make sure you sterilize the jars. Follow these easy 6-steps. 1. In a large pot, bring 1L water to a boil with the salt, stirring until the salt is dissolved. Remove from heat and add the remaining water. 2. Prepare three 1-liter wide jars by running them through the dishwasher or filling them with boiling water, then dumping it out. 3. Pack the cucumbers vertically into the jars, making sure they’re tightly-packed. As you fill the jars, divide the garlic, spices, bay leaves, and dill amongst them. 4. Fill the jars with brine so that the cucumbers are completely covered. Cover the jars with cheesecloth, secured with rubber bands, or loosely with the lids. Store in a cool, dark place for 3 days. 5. After 3 days, taste one. The pickles can ferment from 3 to 6 days. The longer the fermentation, the more sour they’ll become. Once the pickles are to your liking, refrigerate them. Source: barely adapted from David Lebovitz. Categories: Cucumber, Recipes | Tags: pickles | Permalink.